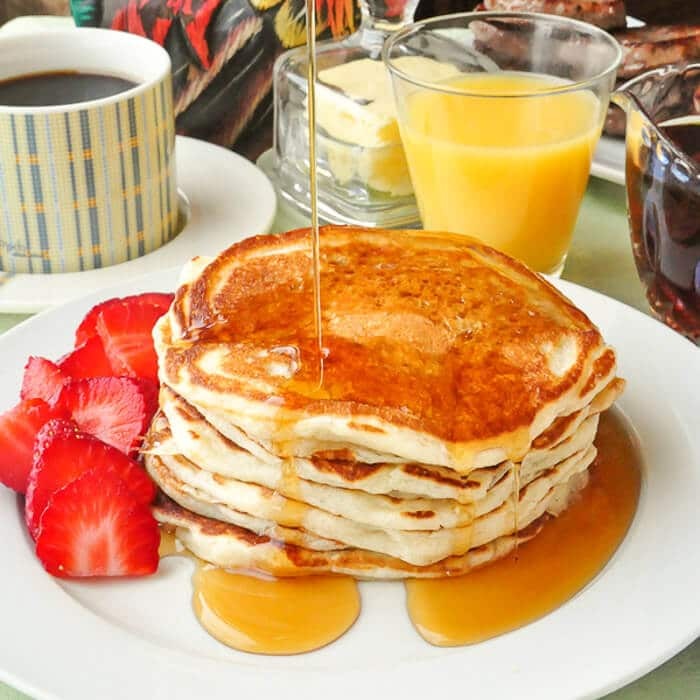 Best Basic Buttermilk Pancakes - a recipe to build on. 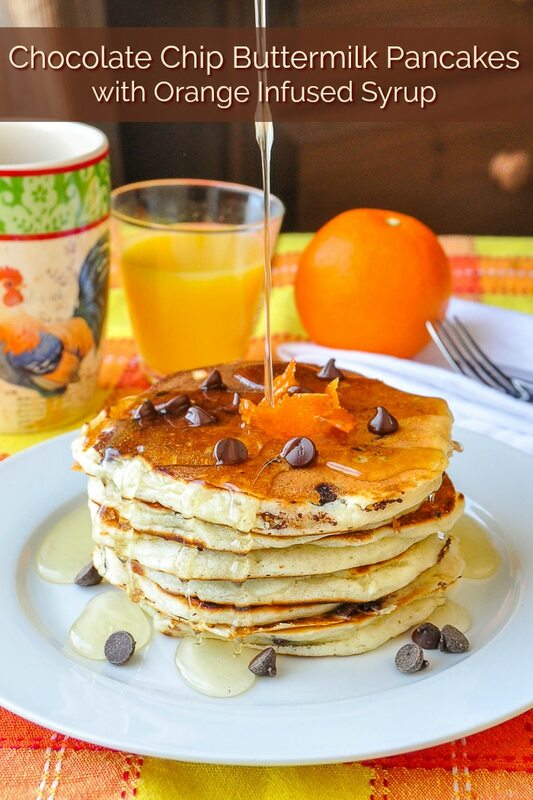 Best Basic Buttermilk Pancakes. A basic recipe for a weekend brunch staple, light, fluffy, delicious buttermilk pancakes. This is a terrific basic recipe to which you can add your favourite berries or as my kids mostly do, chocolate chips. I find it best to sprinkle the berries or chocolate chips on the pancakes while they are on the grill before you flip them for best even distribution in every bite. A good basic buttermilk pancake recipe is a useful thing indeed. I’ve tweaked this recipe to be extra light and fluffy and so simple to prepare that considering using a pancake mix will never be a real need ever again and so quick that you may even be making them on weekday mornings. Add fresh berries in season or chocolate chips like my kids do throughout the year for a weekend brunch treat that will have ’em rushing to the table. 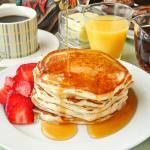 Like this Best Basic Buttermilk Pancakes recipe? 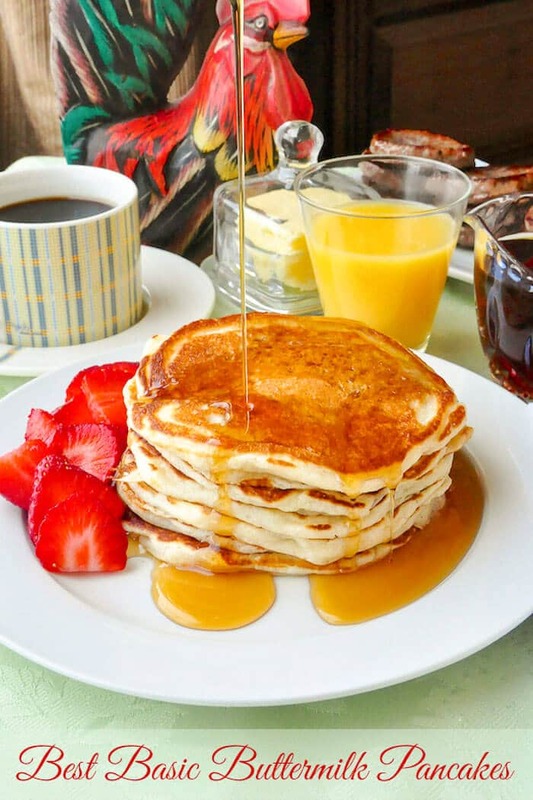 Best Basic Buttermilk Pancakes - A basic recipe for a weekend brunch staple, light, fluffy, delicious buttermilk pancakes. This is a terrific basic recipe to which you can add your favorite berries or as my kids mostly do, chocolate chips. I find it best to sprinkle the berries or chocolate chips on the pancakes while they are on the grill before you flip them for best even distribution in every bite. Sift together the flour, salt, sugar, baking powder and baking soda. Whisk together the egg, vanilla extract, buttermilk and melted butter. Pour the wet mixture over the dry ingredients and whisk together just until combined. Do not over mix. Don't worry about small lumps. The batter will be thick. 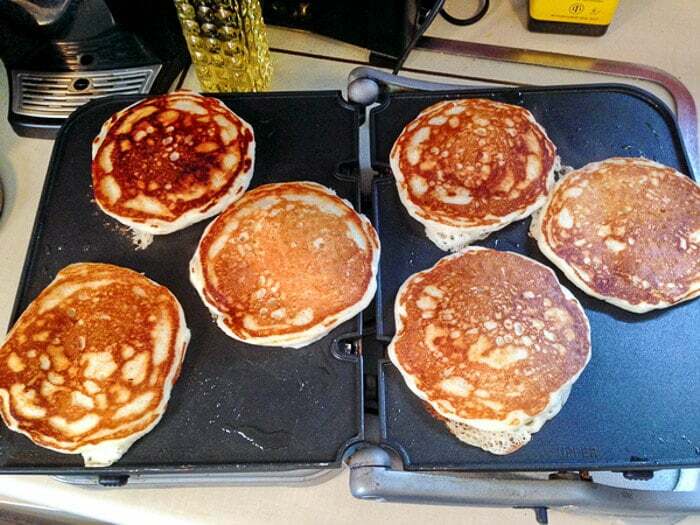 Using a 1/4 cup measure, pour batter onto a lightly greased griddle on medium heat; it's best to cook these slowly. You may need to spread the batter out a little with the back of a spoon but this is usually not necessary. Cook for 3-4 minutes per side or until lightly browned on both sides and the center is fully cooked. These are the best pancakes I’ve ever made! I’m an American expat living in Dublin. I was asked to make “American” pancakes (not to be confused with just pancakes which are actually crepes over here) by my daughter’s school for an intercultural lunch and they were a HUGE hit. Thanks for sharing! That’s awesome! I’ll be in Dublin early next summer. Looking forward to visiting the city. Delicious!! So good, ate them without syrup. Ahhh our dear Canadian Newfie Family across the country. I just love your recipe blog. Your recipes are always first class…. your family must love your cooking. We have so many Newfoundland friends in Alberta and they are so nice. We came from British Columbia our home and have been so blessed by our Newfie friends and by your wonderful sharing of so many great recipes …Thank you. My family really enjoyed these pancakes. They were light and fluffy. I substituted lemon sugar for the plain sugar and it gave the cakes just a hint of lemon. Added some blueberries too. Very yummy will definitely make them again. Thanks for sharing the recipe.